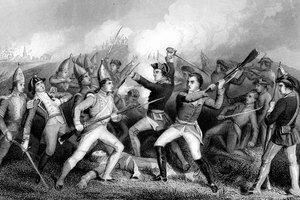 What Factors Led to the Colonial Victory in the American Revolution? 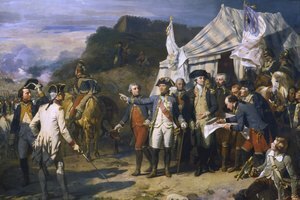 How Did France Help Aid the American Colonies? 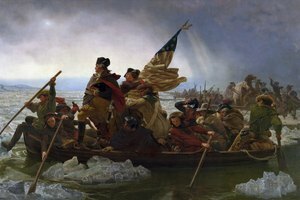 What Drawbacks Did the American Forces Face During the Revolutionary War? The French navy, troops and tactics ensured the British surrender at Yorktown. French participation in the American Revolutionary War was vital to the American victory. France’s aims in the war were to weaken its archrival Britain and to acquire the United States as a major trading ally. French aid provided finance, weapons, apparel and equipment as well as infantry and naval support. Although French aid kept the American revolutionaries solvent, it contributed later to the bankruptcy and collapse of the French state. Pierre-Augustin Caron, a watchmaker who became a famous dramatist with his work “Barber of Seville” and acquired the noble title of Comte de Beaumarchais, pioneered French aid to the American revolutionaries. He persuaded King Louis XVI and members of the nobility that French assistance to the colonists would be a chance to regain eastern Canada, territory lost to Britain after 1763, as well as trading privileges with a newly independent nation. However, as France was not ready to fight a war, this had to be a clandestine operation. Beaumarchais set up a cover company, Rodrigue Hortalez et Compagnie, to send weapons, gunpowder, ammunition, tents and clothes to the rebels. The French and later Spanish governments financed the venture with a starting credit of one million livres each, and another one million livres came from French merchants. Beaumarchais and Silas Deane established contracts for the deliveries. French weapons, including the Model 1763 Charleville rifle, equipped most of Washington’s regiments. At the same time, individual volunteers such as Gilbert du Motier, the Marquis de Lafayette, joined the revolutionary cause. France’s support for the Revolution became open after Americans defeated British forces in 1777 at Saratoga. Under treaties signed in 1778, neither the French nor the Americans were permitted to make a separate peace with Britain. Naval support was the largest part of French assistance during the war. The French fleet carried troops and supplies across the Atlantic and along the East Coast. British vessels successfully harassed the French fleet until the decisive Battle of the Chesapeake Bay, also called the Battle of the Virginia Capes, when the French, under the command of the Comte de Grasse, defeated the British. The French fleet played a vital role in events leading to the British surrender at Yorktown. American forces remained on the defensive for much of the war, but even Washington was doubtful about deploying French infantry. However, the arrival of 5,000 French troops in 1780 at Rhode Island under the command of the Comte de Rochambeau assured the American victory in the war. The French reinforcements joined with Washington’s troops -- many of them French volunteers -- at the Hudson River and marched together to Yorktown. They made a combined number of 15,000 troops that would face 8,000 British troops under Cornwallis. Washington and Rochambeau planned the action at Yorktown while the Rochambeau also coordinated tactics with Comte de Grasse and French naval forces nearby to ensure the British surrender. France’s involvement in the American Revolution led to the country’s bankruptcy and the financial collapse. The nobility and clergy did not pay tax, so the tax burden fell on peasants, common workers and businesses, all of whom were cut off from access to political power. The ensuing unrest paved the way to the French Revolution. The Revolutionary War didn’t weaken Britain as France had hoped. Britain and the United States resumed much of their trade but France did not become a major U.S. trading partner. 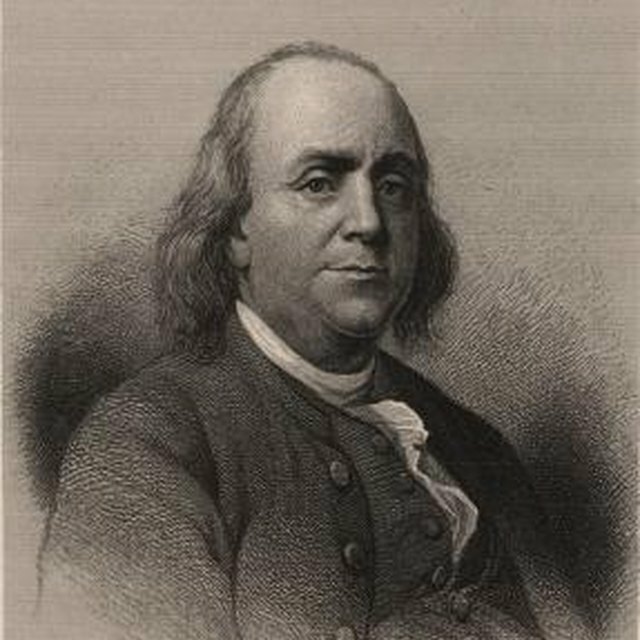 France was even excluded from secret negotiations between Benjamin Franklin and Britain during the Yorktown siege. 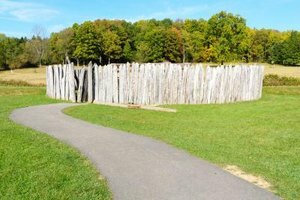 What Were the Main Cities in the Time of the American Revolution? Kielmas, Maria. "France's Participation in the Revolutionary War of the United States." 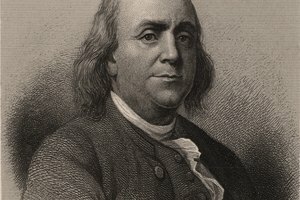 Synonym, https://classroom.synonym.com/frances-participation-revolutionary-war-united-states-14425.html. Accessed 24 April 2019.